Since meeting my partner, he's changed my phone interest to iPhone, and I've stuck to that for the past two or three upgrades I've had. I've now currently got an iPhone 7 and already want to upgrade to an iPhone 8, but I have another year for that. Something I'm quite fussy with, are phone cases. I'm not sure why but I always want a good quality phone case that will help prevent damage my phone. Main reason being, Freddie constantly manages to grab my phone, and before I get it back from him, he's thrown it to the floor countless of times. The joys of having kids eh? 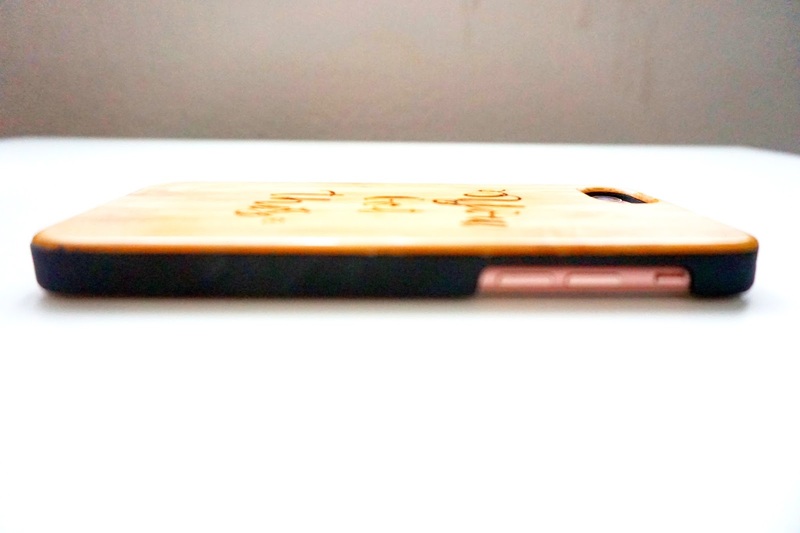 I was recently sent a personalised wooden phone case from Get Etch'd. I'd never heard of them until I received the case to review. Not only do they sell phone cases, but they sell anything from notebooks to breadboards and gifts. 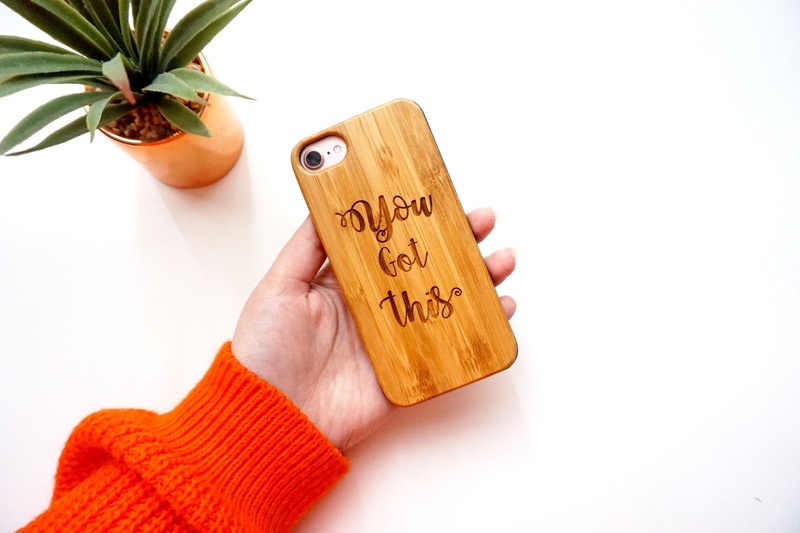 There's a fair range of phone sizing cases, and they're all personalised - which I love. I decided to go for the wording 'You Got This'. Mainly because those words have meant a lot to me in the past few months. Being a stay at home working Mum is hard, but I get through it. I love having personalised items that mean something to me. There's four different types of wood to choose from; bamboo, cherry, rosewood and zebra. 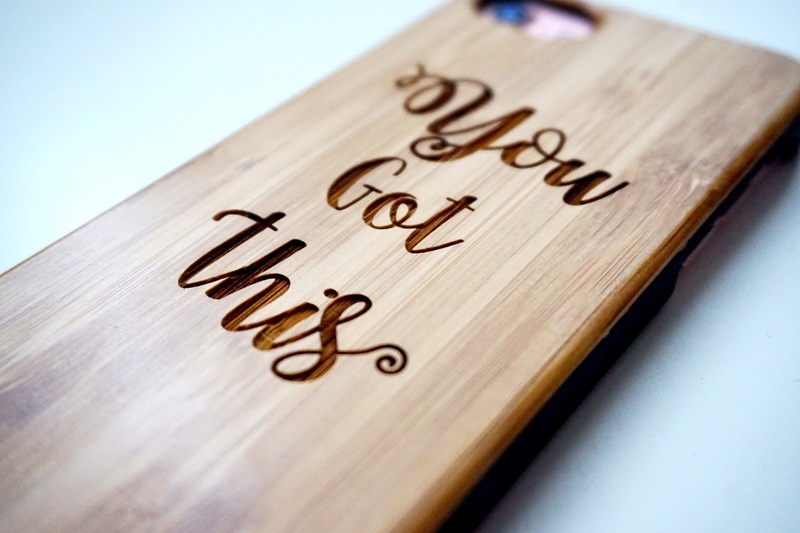 I went for the bamboo case, and I absolutely love the lasered words. When I opened the package when it got delivered, I could smell that it had been lasered (it was nice, ha!). The detail is perfect, and I am so pleased with it. I've had many people comment on how nice and different it looks. That's another main reason I love this case, it's different to many other cases out there. The quality is also fantastic, and again, I'm very pleased. * I received this product free of charge in return for an honest review. However, all words, opinions and images are my own. I love this! So unique and high quality. I read they do notebooks too- i'm going to have a look now! This looks amazing! I need to get one done for my phone. I love the look of it and the wooden material looks fab. 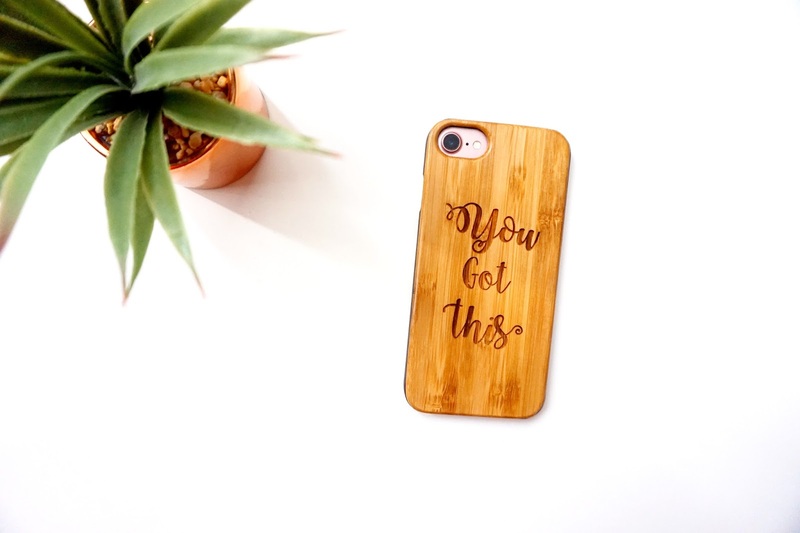 Oh now this looks absolutely beautiful you know I would never have thought of a etched phone case made of wood but now I need one in my life! What an ingenious idea! I love the feel of wood as it is so tactile. I like the etching on this and would probably spend hours tracing my finger over it. A beautiful item and it would make a fab gift too! That's lovely. I would never have thought of getting a wooden case for my iPhone but I bet they offer a lot more protection than standard cases. Handy when you have kids.